They are the stuff of glittering legend, supersensual creatures able to shape-shift from human to smoke to dragon. Now they face an enemy determined to destroy their dazzling world of magic and passion. 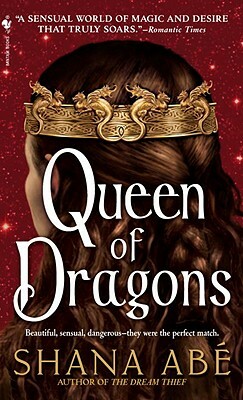 Queen of Dragons It's a stunning claim: the existence of a lost "drakon" tribe. And it comes from an intriguing source: a woman calling herself Princess Maricara of Transylvania. Alpha lord Kimber Langford, Earl of Chasen, can't ignore the possibility. For whoever this unknown princess may be, she's dangerous enough to know about "his" existence--and where to find him. And indeed, it isn't long before Maricara breaches the defenses of Darkfrith and the walls around Kimber's heart. Yet the princess arrives with urgent news: a mysterious serial killer is targeting the entire "drakon" race. To save their kind, Kimber and Mari must ally themselves body and soul in a battle that can spell their salvation, their extinction...or both.